More detailed maps are located on the Conference Details page. 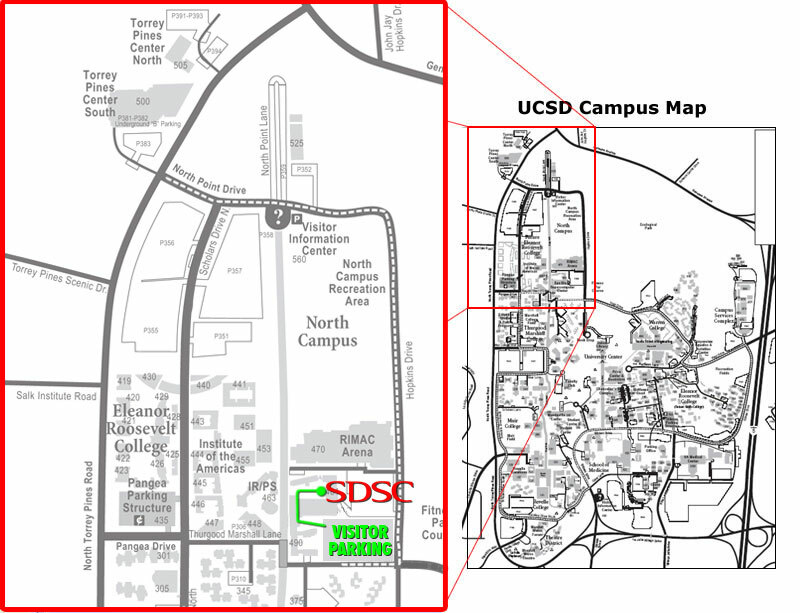 Here is the recommended route to SDSC. Exit Genesee, turn West off exit. (From the south, turn left. From the north, turn right.). At the top of the hill, turn left at North Torrey Pines Road. 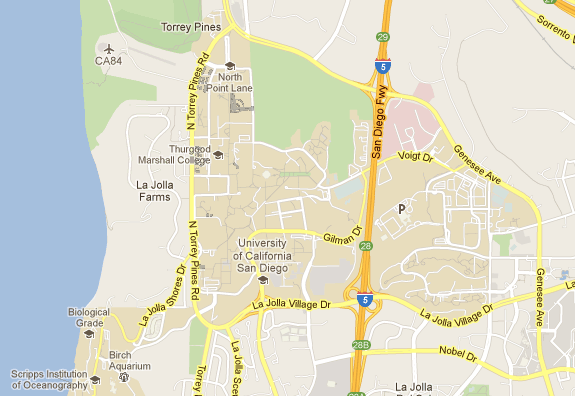 At the first light, turn left on Northpoint Drive into UCSD. Follow Northpoint Drive past the campus Information Booth. Continue on Northpoint as it turns right and becomes Hopkins Drive. Turn right on Voigt Drive (South of RIMAC and SDSC). Enter the Hopkins Parking structure at the top of the hill (Level 6).